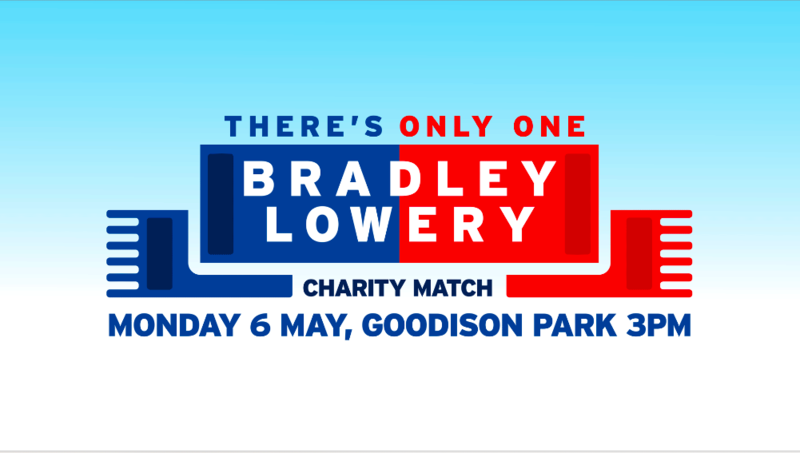 Goodison Park will once again play host to a charity celebrity football match named in memory of the inspirational Bradley Lowery. The charity match will raise funds for The People’s Place and the Bradley Lowery Foundation. Kicking off at 3pm on Monday 6 May, the game will see a wide host of former Blues and celebrities lace up their boots for the match which will support The People’s Place, Everton in the Community’s mental health focused fundraising campaign, and the Bradley Lowery Foundation, which supports families fundraising for treatment or equipment not readily available or covered by the NHS. Evertonian and former WBC World Cruiserweight Champion Tony Bellew will captain The People’s Place XI, whilst Bradley’s Boys will be skippered by EastEnders star Danny Dyer. Celebrity names already confirmed for this charity game on May Bank Holiday weekend include Love Island stars Jack Fowler, Josh Denzal and Dom Lever as well as reality TV stars James Argent, Dan Osborne and Liam Gatsby. They be lacing up their boots and running out alongside TV personalities Calum Best, Jake Wood, Shayne Ward and Dean Gaffney. And, in the coming weeks, more celebrity names will be revealed – as well as a host of Blues legends. Young Sunderland supporter Bradley inspired football fans across the country and around the world during his brave battle against Neuroblastoma. Having won the hearts of Evertonians during the Club’s visit to Sunderland’s Stadium of Light in September 2016, a special bond was forged between the Club, its fans and Bradley. He was a special guest at Goodison for two matches in 2017 before sadly losing his fight in July 2017. All profits from the 2019 fixture will again be split between Everton in the Community and the Bradley Lowery Foundation. The Club’s official charity will be directing the money towards the build and development of ‘The People’s Place’, a purpose-built mental health facility in the shadows of Goodison Park that will support anyone in times of need. The Bradley Lowery Foundation will be using the funds to create a special holiday home for families supported by the charity. Arranged in conjunction with the Lowery family, and with the assistance of Sellebrity Soccer, tickets for the charity game will go on sale at www.evertonfc.com and are priced at just £10 for adults and £5 for under 16s.